Life has way of balancing everything. Like if you get too much sorrow, you are bound to get an equivalent amount to joy some day that would write off all the sadness you felt. Just when you start thinking that everything is falling apart and nothing could get to through, life gives you a much needed little nudge that helps you get through the most terrible times of your life. Recently I lost a very dear aunt. The whole family was shocked at the untimely loss and for nearly a week we could barely think of anything else. My aunt was the live wire in our family. A happy go lucky person who was bound to make everybody around her smile because she had the most infectious laugh ever! A regular chatterbox, she was always full of energy. I remember my mom telling me that when she met my dad’s family for the first time after her marriage, my aunt was in 9th grade. She says that the first thing she noticed was how this girl ran up and down the stairs all day to get things done for the reception that was to be held that night. And how she came up to my mom every 15 minutes and made sure she wasn’t bored or feeling out of place in a new family. Years later my aunt had revealed that when she saw my mom, she realized how lonely the bride must be feeling in a new family. So she made it a point to make my mom feel welcomed. I’m often compared to my aunt for being the most talkative person in my family. And frankly, I feel proud to be compared to the one person who was the funniest, most caring, and the strongest member of our family. At the age of 21 she had against the consent of the family, eloped with the love of her life , who today is my uncle and the father of her two beautiful children, . Together these two had built the foundation of a strong marriage and a healthy family. I hope wherever she is, her soul finds peace. She is watching us from the heavens above and I know that she can see the piercing pain everybody is feeling. My family had been trying to cope up with this huge loss, when life turned around and bought happy news to our homes. A couple of weeks after this tragedy, my cousin announced her engagement. Being the eldest child of our generation, her’s is the first wedding in the family after a long time. This news acted like a balm to our hearts. It gave us something to rejoice and look forward to. Today, as I write this post, I can’t stop smiling at the happy prospect of my sister’s wedding, even though I sorely miss my aunt. Life came full circle for us. We said goodbye to a beloved daughter of the family, and are now, thanks to my sister, preparing to welcome a son. I wake up abruptly. The cool winds and the peace of the orchard make me want to sleep some more. But the string cot is uncomfortable. I open my eye’s and look up at the mango tree under which I am lying. The mangoes are still raw. It would take another couple of months for them to turn into sweet juicy goodness. I see two birds on this tree. They seem to be fighting. I turn my head and see the litchi trees around me. The worker’s are picking up the fruit that we need to take back home with us. 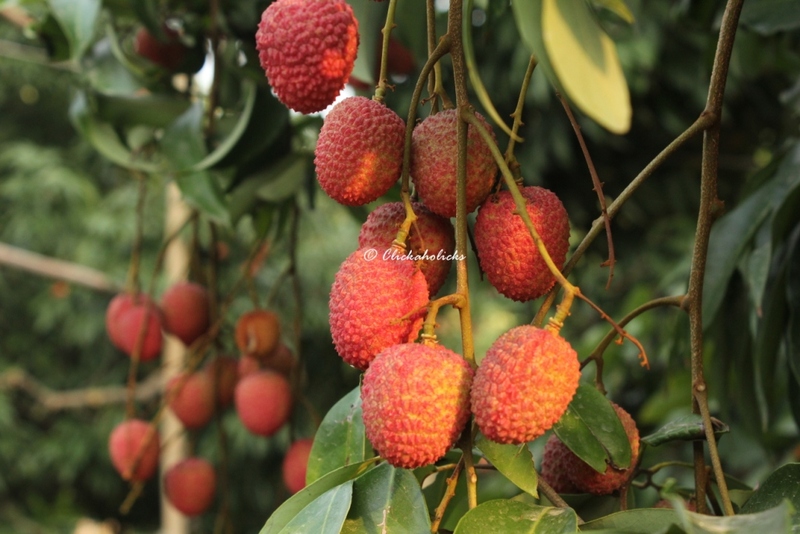 I’v had my share of litchi’s today. Climbing up trees all day had left my legs sore. I close my eye’s again but sleep deceives me. I get up and start walking around. The orchard belong to my grandfather. There are litchi and mango trees. We are here after nearly a decade. It’s been so long but the tree’s are still the same. Nothing has changed here. It’s like time has stood still. The chief of the worker’s that we have employed at the orchard is still here. He’s supervising the work. Making sure that the fruit is not harmed while picking it from the tree’s and is packed correctly. Litchi is a delicate fruit. He know’s it can go bad in no time. I look at him working away. He has aged a lot. But his voice still has the same booming quality that was there 10 year’s ago. That hasn’t changed. We have to go back today. I feel sad about leaving. The peace of this place make’s me want to stay here for some more days. It had rained yesterday. That is the reason the worker’s are here working overtime. Rain’s are not good for the fruit at this time. But the heat has been wiped away with the onset of the monsoon. I take off my flip flops and walk bare feet on the wet grass. My family is at the other end of the orchard. They are putting the boxes full of litchi in our car. It’s time to go. I look around one last time and take in the serenity of the place, promising myself to not wait for another decade to come back here. I know you must be insanely busy these days and probably going crazy with all the work. So let me just increase that pile of letter’s by adding my letter to it. Now don’t start pulling out your hair! It’s your job to read all the letter that come your way, even if they have been written to you by someone who has been really naughty all year long. I know I haven’t been an image of goodness all year, but in my defence, this year sucked! To begin with, I lost my grandmother in the very beginning of the year. I fought and screamed at god for doing this and till date I can’t come to terms with the fact that when I go to her place I don’t see her in her room waiting for me. Or that I didn’t get a phone call from her on my birthday. And now I never will get one. That was like the biggest set back that came to me. The next was when I didn’t get into the college of my choice because I was short of just 1 mark. 1 Mark. That was all it took to throw all my hard work and sleepless nights down the drain. Then came the innumerable misunderstandings that I had with my best friend. We fought for like months! And I am not even mentioning all the other crap that happened all year long. And believe me I died a little inside every time something happened. I almost gave up on life. It was really bad and I just had no idea what to do and get myself together. But every time life kicked me in the face I got up stronger than ever to kick back. And I’m glad I didn’t lose hope. I know I am not in your good list but please be nice this time. And if you ever have a chat with god, tell him I’v marked 2013 in my black list and I would be having a long talk with him about it whenever I have the pleasure of his acquaintance. 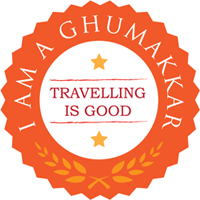 I have had a lot of good things as well but it is outweighed by the bad at any given point. So please be kind to me and everyone around me this year. I really can’t take another year like this one.